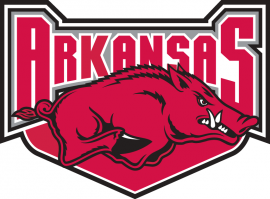 Some of the team names are familiar – Auburn, Kansas, Purdue, and the like – and boast storied athletic histories. 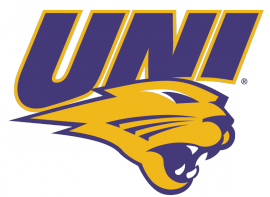 Several – University of California-Santa Cruz, Wisconsin-Stevens Point – originate in veritable disc golf hotbeds or rapidly growing scenes. And still others – Liberty University and George Fox University, for example – represent private institutions built on small student populations. Regardless of stature or pedigree, these teams have all traveled to South Carolina this week with a singular goal: to bring home a victory at the National Collegiate Disc Golf Championships (NCDGC). Now in its ninth year, the NCDGC is a four-day tournament featuring more than 100 teams that have qualified from six regions around the country. 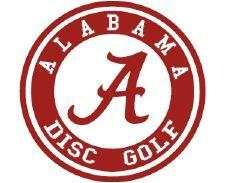 Governed by College Disc Golf and sanctioned as a PDGA Major, the event will play at six courses at Augusta’s Hippodrome Disc Golf Complex. And while College Disc Golf general manager and NCDGC tournament director Alan Kane oversees an event that is now a far cry from the six-team affair of 2007’s inaugural offering, he knows there is more on the horizon. NCDGC festivities begin with today’s “Rivalry Day,” in which Kane and his staff can set card pairings based on regional adversaries. Sixty-two men’s teams and 18 women’s teams will battle for supremacy in the top-tier National Championship flights, which include singles play – in which the three best scores from a four-player team are taken to create a total – and team doubles play, which uses an odd/even best shot format. Teams will play two rounds per day, culminating in singles finals on Friday and doubles finals on Saturday. Additionally, schools with larger contingents can have multiple four-person teams participate via the First and Second Flight Championships, which Kane said gives more players the opportunity to experience the NCDGC. Due to almost all of the teams being run as club sports at their campuses – that is, they are not funded by deep-pocketed athletics departments, but instead by small percentages of tuition fees – the amount of fundraising and coordination required to make the NCDGC trip is no small feat. The University of Oregon Disc Golf Club, for example, sent 16 people to the tournament. With a mere $1,000 supplied by the school, the team spent much of the season not only competing, but also raising money. 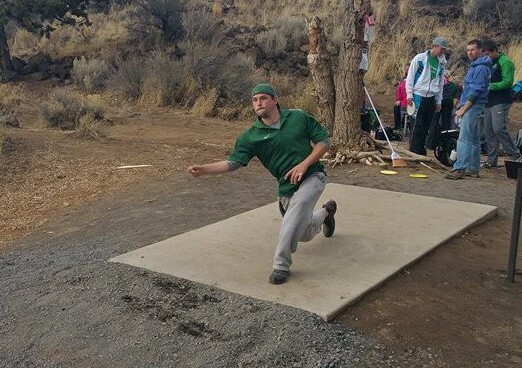 Paul Fraser (above) and the University of Oregon Disc Golf Club – like their contemporaries – spend much of the year raising finds to travel to the NCDGC. Photo courtesy of UODGC. Once the teams get to Augusta, though, the focus shifts to the task at hand: chasing the championship. 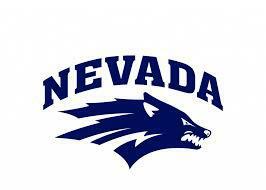 That potential is just one reason College Disc Golf has been attractive to one of its main sponsors, Innova Disc Golf. Innova team manager Jonathan Poole said the company considers the NCDGC to be one of the most important events of the year and one that can open doors to a new crop of players. “I like the idea of the next young generation of movers and shakers playing disc golf,” Poole said. “It’s nice to be able to bring that kind of crowd to a place where we can all learn together and fuel their passion for disc golf. And then if they go on to whatever they’re going to do in their lives after school, to know that they’ve had a taste of top level disc golf and a really good experience, hopefully that’s just going to create opportunities. The commitment and sacrifices players make to help set down these roots are not lost on Kane. With more than 100 teams vying to make a name for themselves at the NCDGC, Kane and Fraser gave us the skinny on who to know. “It used to be Oregon and Georgia Regents,” Kane said. “When they were both at their best it was pretty heated. Cordially heated, but it definitely got pretty intense.